A study reveals that almost two thirds (62%) of Australians would like to seek orthodontic treatment to fix their crooked smiles. It is a human tendency to make their external appearance more appealing or attractive and no one love to be shabby or the person who looks horrible. We try various products and undergo different cosmetic treatments to enhance our external look. Beautifying oneself began since human civilisation. When considering the external appearance, your face is the first thing that other people notice. What if you have a crooked smile? It will be an embarrassing moment, and sometimes even it affects your career, which will be the worst nightmare in your life. But don’t worry, here is the solution to make your smile brighter, ’the invisible braces Melbourne.’ Due to the advancement in the field of dentistry, the invisible braces cost Melbourne is also affordable. This blog explains in detail about the cheap invisible braces Melbourne and how it improves your smile. Generally, metal braces block off an individual’s smile and many people view metal braces as their last resort. Hence invisible braces were invented that improves your aesthetic appearance, and you don’t have to sacrifice your beautiful smile. For a perfect smile the invisible braces Melbourne are deployed as they straighten your teeth, by providing appropriate spaces between each tooth, and strengthen your jaw. 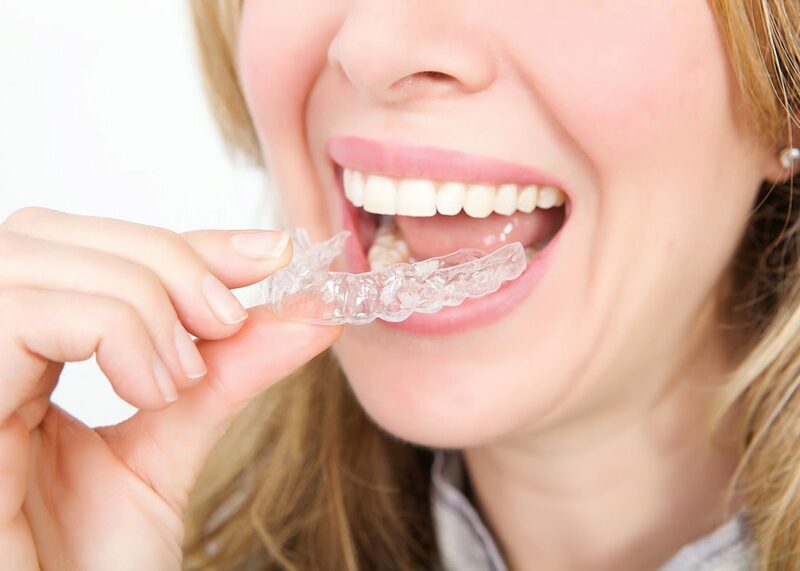 The clear braces are durable and are adapts to your teeth. Invisible braces consist of corrective plastic that increases your confidence and paves the way for an unobstructed smile by realigning your crooked teeth. These clear braces will be a great beneficial decision and choice. The invisible braces treatment is an excellent benefit for teenagers, professionals, and anyone wishing to correct their smile secretly. The aligner treatment is pain-free. With the clear aligners, you can smile and socialise with others confidently any no more holding back. You can remove the aligners whenever and wherever you wish. This means you can remove them for outings with friends and family, job interviews, meetings, a first date, etc. In traditional braces, food often gets trapped and makes brushing your teeth a difficult process. While cleaning your teeth and aligners with invisible braces consumes less time and doesn’t require any special procedure. Just remove the trays while brushing and normally brush as you do, finally replace the aligners when you’re done. Since the invisible braces are smooth, comfortable, and removable, you can even participate in sports, play musical instruments, and do your favourite hobbies or activities, which is not possible with the traditional braces. If you are a foodie, then invisible braces will be the best choice for you. Unlike, the conventional braces you can enjoy your favourite food and no restriction. Thus enhance your smile with the invisible braces.